Each year, Time magazine names a Person of the Year, someone who has had a great influence on the events of the past 12 months. Last year it was then President-elect Donald Trump. In past years, former president Barack Obama received the honor, as has Facebook creator Mark Zuckerberg. But this year, it wasn't just one person that nabbed the title—it was a group of people: The Silence Breakers. 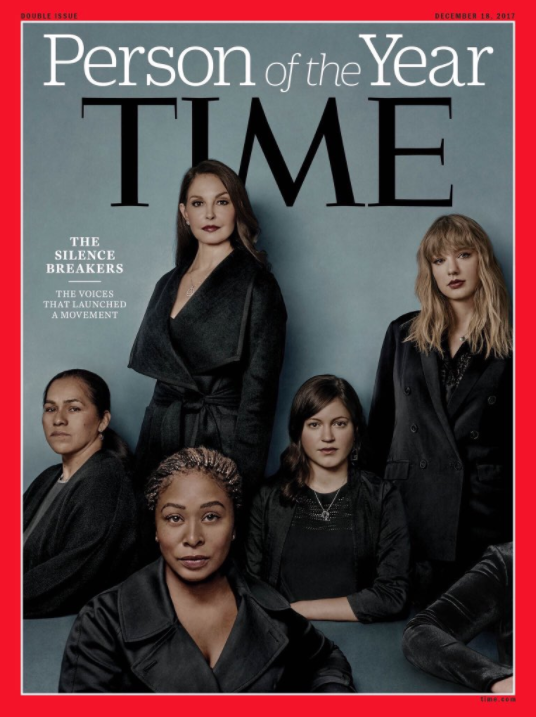 Time deemed several women and men 2017's POY for speaking up about their experiences with sexual assault and harassment. Among them, Taylor Swift, actress Ashley Judd, activist Rose McGowan and more. Why is this recognition so important? Victims of sexual assault often choose not to speak up. They keep what happened to them a secret. Because when they do share their experience, they're oftentimes blamed for what happened to them. Or shamed for it. Or people don't believe them. So, victims stay silent. That's why what The Silence Breakers did is so worth celebrating. Men and women around the world and from all walks of life found the courage to speak up about heinous sexual crimes committed against them because of the courage of these individuals. In the piece, Taylor Swift detailed her time in court as she countersued her assailant—and won. Ashley Judd was the first celebrity to speak on the record about her experience with famed movie producer Harvey Weinstein and accuse him of sexual harassment. Alyssa Milano resurfaced the wide-spread #MeToo movement started by Tarana Burke, who is also included in the list. To read more on The Silence Breakers, go here. What have you done this year that you're proud of? What was your favorite part of 2017? Share in the comments!